 This week at Society we continued our new series called “Here to Stay” which is a sermon series focused around producing a richer spiritual life and growth where we are planted. What is your favorite Spring/Summer activity? Which state of the soil do you most identify with right now? The Weedy Soil- Growth that gets crowded out, easily distracted by fear or greed. The Good Soil- Tender and responsive, viewing challenges as fertilizer, teachable, forgiving, open minded, courageous, generous and honest. In your life what would you consider the “worries of life”? How might fear play a part in worry and anxiety? How does Jesus say we “save our life”? What do you think it means for us to “give up our life”? What are some helpful ways you have found to overcome the power of fear in your life? What where some Anxiety Prevention or Anxiety Killer practices mentioned in the message that you might want to try out? What are some practices prescribed in this passage for us to overcome the power of worry and experience God’s peace? What do you think Jesus is referring to when he says the “lure of wealth”? What are we encouraged towards in this passage? What are we warned about in this passage? Do you have to be rich in order to fall prey to the “love of money”? What are some “sorrows” we might experience through a “love of money”? How might you be able to deal with your worry/fear/anxiety in a more life giving way? How might you overcome your tendency towards greed and become a more generous person? What role might the church play in helping, equipping and inspiring you to be a more generous person in all areas o life? Are there some financial management principles (tracking spending, budgeting, debt, savings and generosity) that need to be reassessed so you can live into a generous life more fully? What does that look like for you? Do you know where to start? Use your group list of worries to pray for one another and express a healthy helping of gratitude mixed in with the time of prayer. You will experience God’s Peace in your heart and mind. Roundup for your heart and mind, inoculation against the weeds of fear & worry.